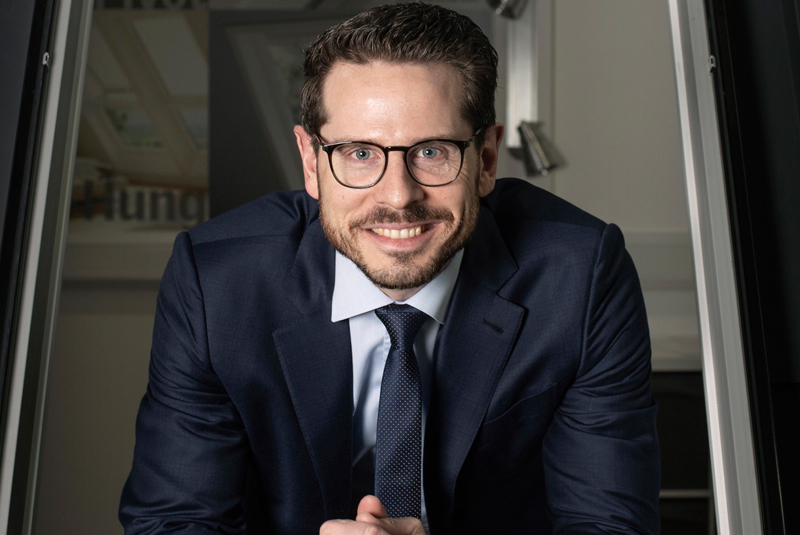 VELUX Company has appointed a new Managing Director to lead its roof window business from its UK headquarters in Fife, Scotland. Mick Schou Rasmussen joins the company, which has recently unveiled plans for a £7 million expansion at its UK and Ireland head office building at Woodside Way in Glenrothes. The 41-year-old brings more than 15 years’ experience of the roof window industry having worked for VELUX as Managing Director in Denmark, Russia and several Eastern European countries. Prior to moving to the UK, Mick spent four years as Managing Director of VELUX Denmark. Before that, he was heading up the Eastern European region where he was responsible for seven sales subsidiaries including Hungary, Romania, Ukraine, Bulgaria, Serbia, Bosnia and Belarus. He also spent five years as the Managing Director of VELUX Russia based in Moscow. Mick will lead a team of over 250 staff across the UK and Ireland and be responsible for growing the business through Brexit, as well as devising a clear business strategy that will grow the roof window market. Mick commented: “What sets VELUX apart in the industry is our 60-year history in the UK, our customer relationships and continued commitment to making innovative products.